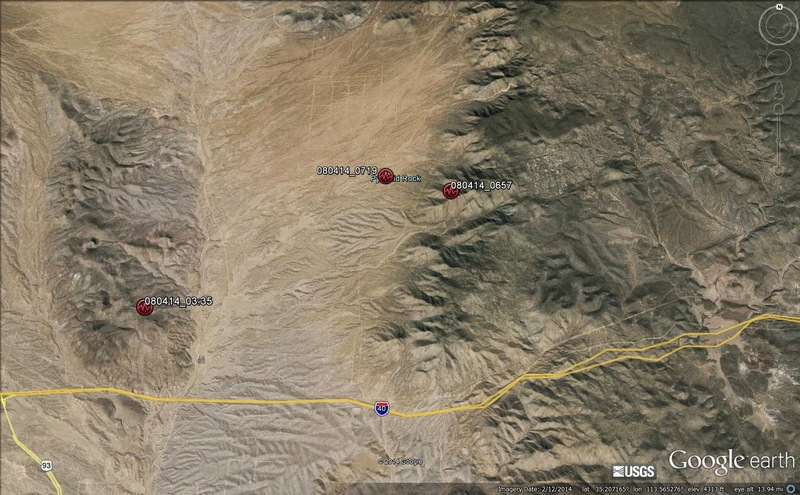 Dr. Jeri Young, AZGS geologist who runs our statewide seismic network, relocated the first event that the USGS reported and has added locations for the next two events using data from our Kingman and other stations. [Above. 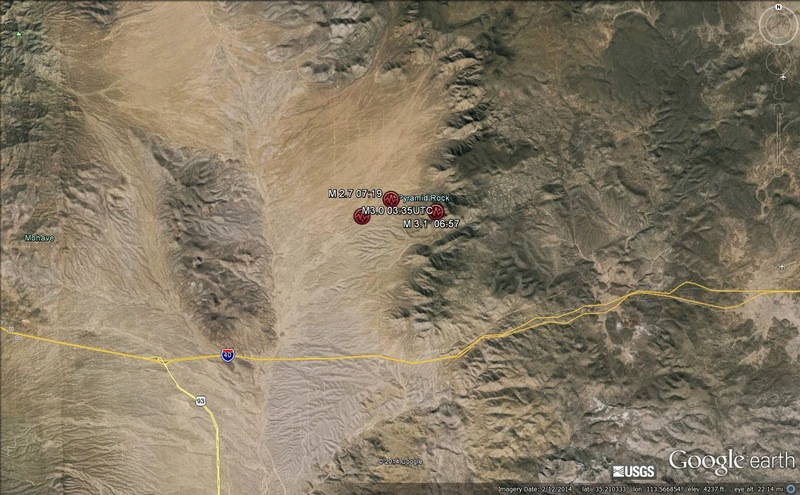 Red circles mark epicenters] The USGS is currently showing the locations for only the first event. Neither the Sheriff or ADOT report any blasting in the area.